In stunning condition for her age! The owner is a professional vehicle mechanic and the boat has clearly benefited from his expertise, diligence and attention to detail. A survey from 2017 valued her at £27,500 + VAt for insurance purposes and commentated on how well she had been maintained. This survey is available to all interested parties. Offers on the asking are highly encouraged - the owner already has already upgraded to a larger vessel! 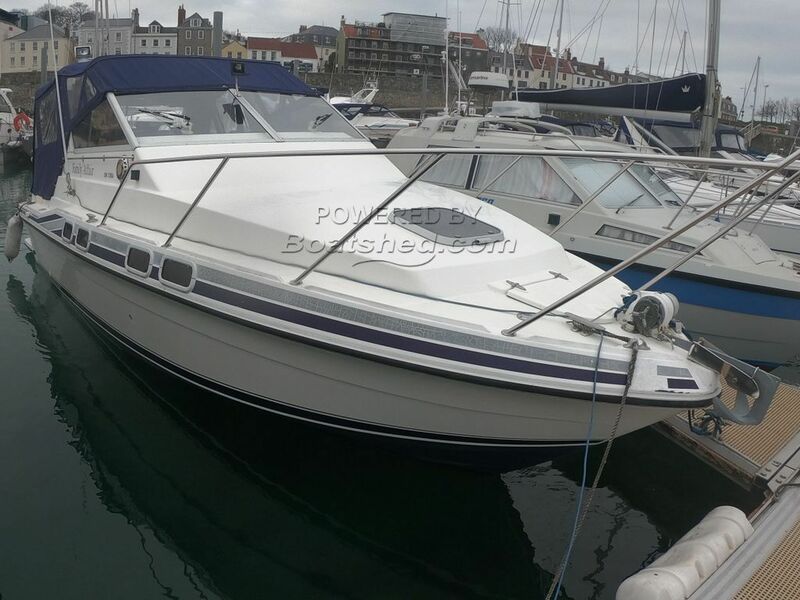 This Fairline Sunfury 26 has been personally photographed and viewed by Tom Whitby of Boatshed Guernsey. Click here for contact details.